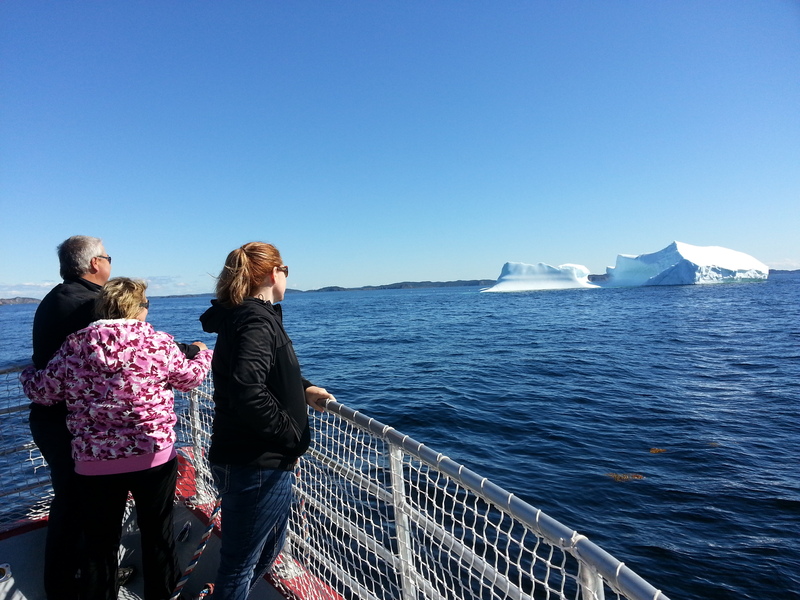 Up Close & Personal With Icebergs & Whales and Stunning Coastal Scenery! 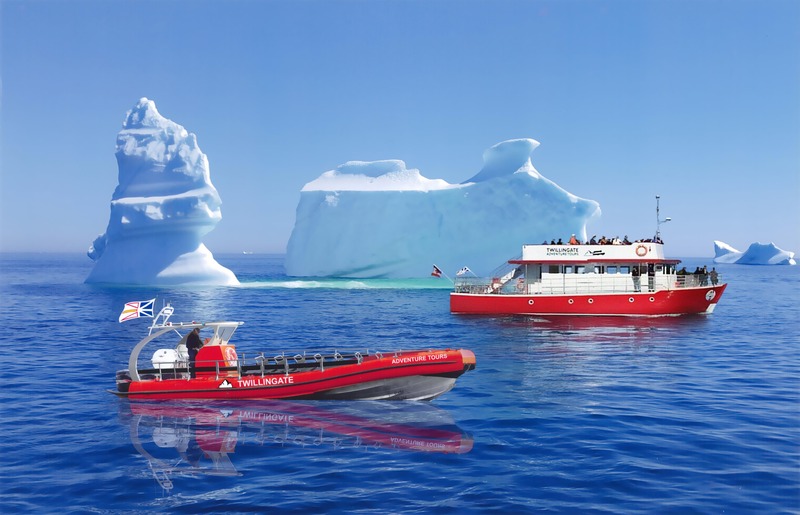 Located in the heart of the Newfoundland Iceberg Alley, Twillingate Adventure Tours will introduce you to spectacular views! Climb aboard and explore with us today. 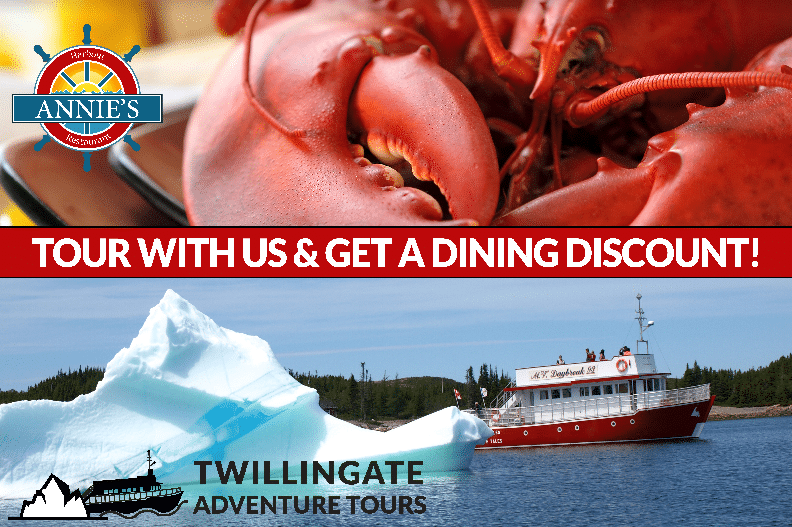 Let us Guide your exploration of the waters surrounding Twillingate islands from the Twillingate Spirit, Twillingate Adventure Tours newest rigid hull zodiac. 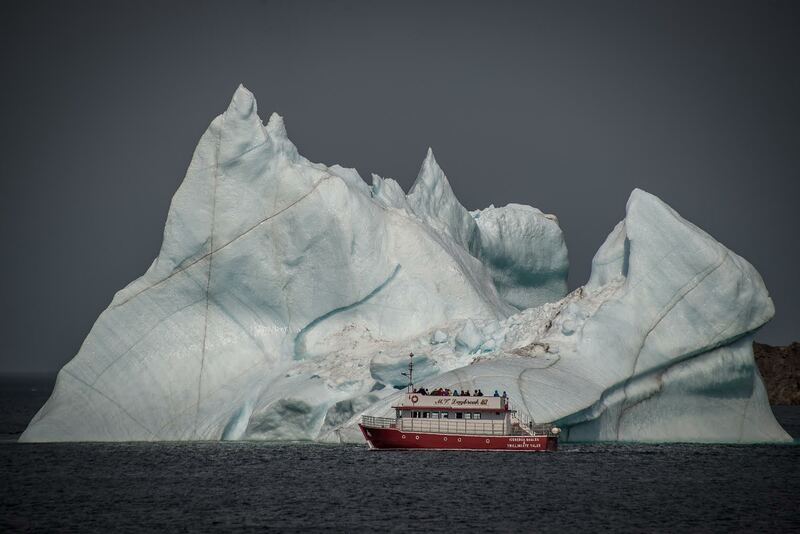 Experience icebergs, whales, seabirds and amazing landscapes. 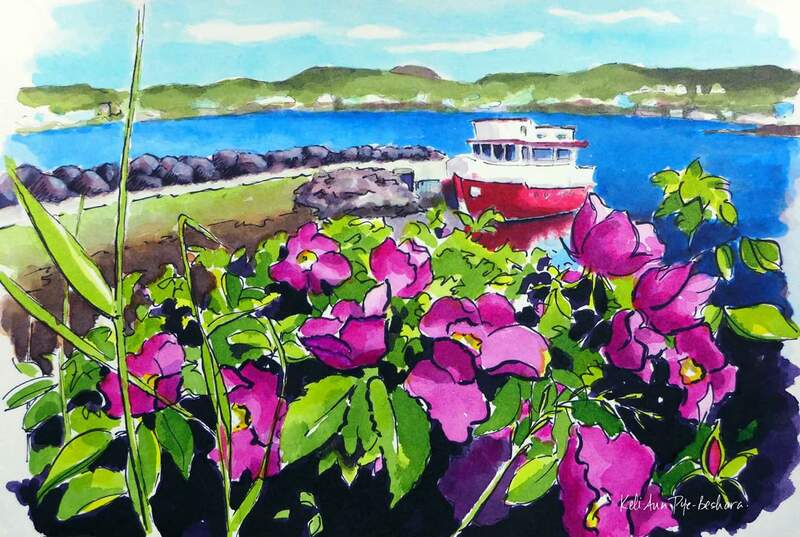 When your touring experience is complete, relax at Annie’s Harbour Restaurant, specializing in friendly service and fresh, local seafood. From Whales and other wildlife to Icebergs and Sunsets – prepare for the experience of a lifetime. Contact us now and book your adventure tour for this coming season! View past photographs of adventure tours in our online gallery. Questions or concerns? Don’t hesitate to give us a call or email today! 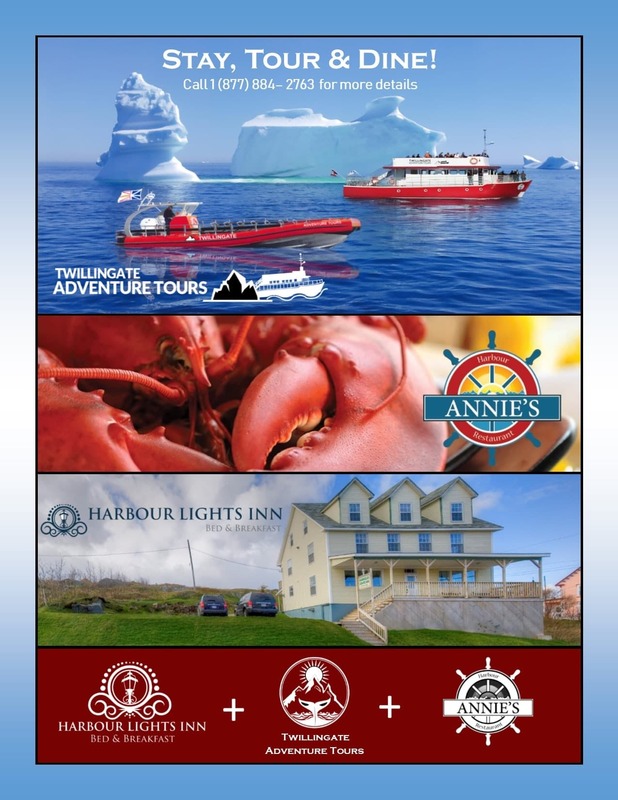 Located in the heart of the Newfoundland Iceberg Alley, Twillingate Adventure Tours will introduce you to spectacular views! Climb aboard and explore with us today. 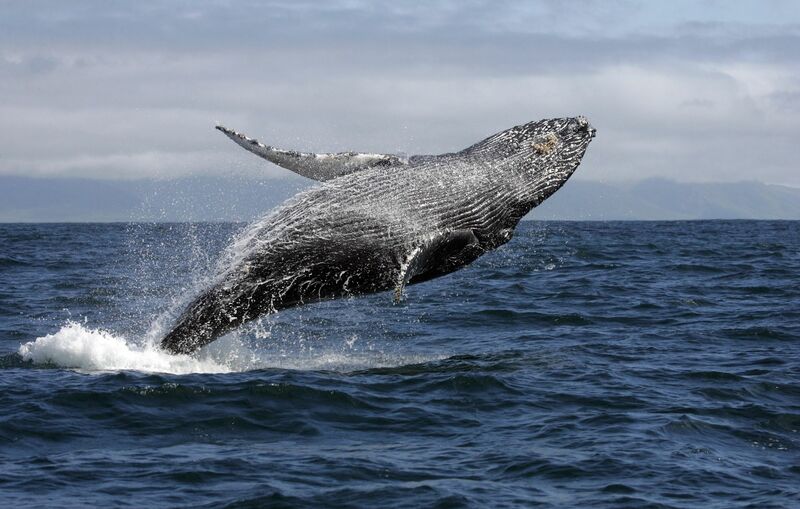 From Whales and other wildlife to Icebergs and Sunsets - prepare for the experience of a lifetime.